IN101M Vol. 1 and 2 are available on DVD! That's right! 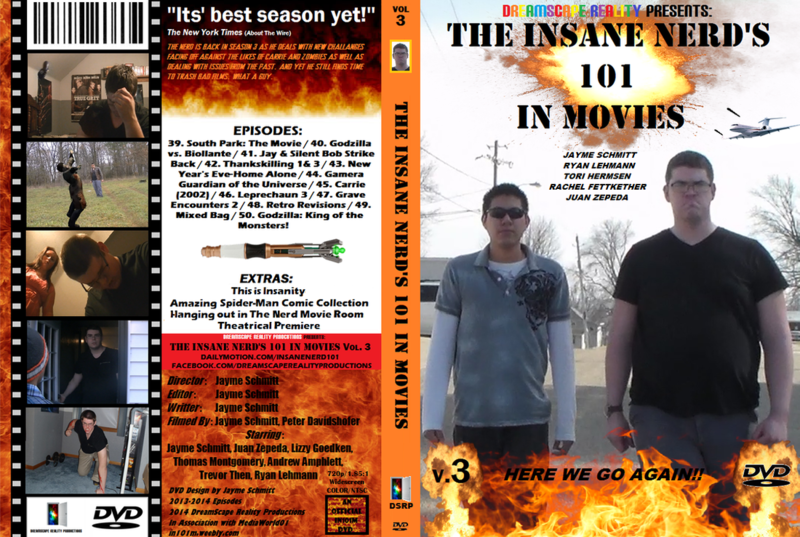 The first and second seasons of THE INSANE NERD'S 101 IN MOVIES are for sale! It's going to feature all the episodes of Seasons 1 and 2, plus commentaries over certain episodes, behind the scenes featurettes of how an IN101M episode is made, bloopers over certain episodes, and more. Yeah... it's gonna be fun. 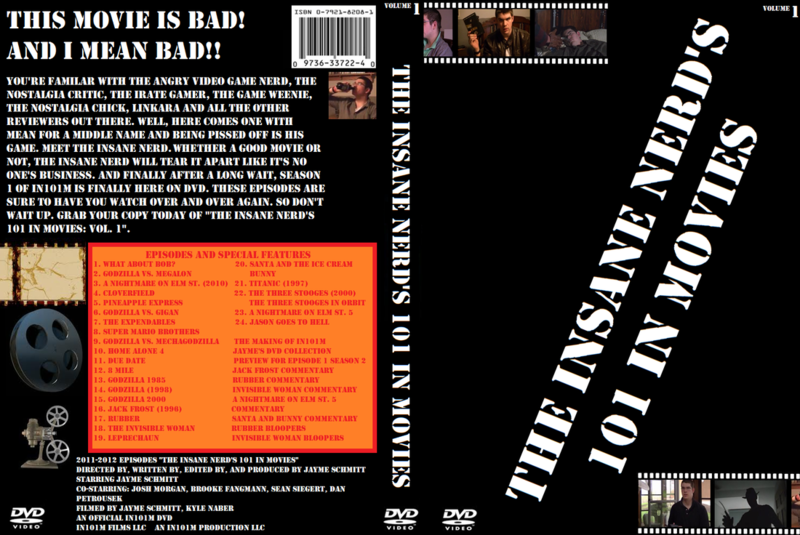 To preorder, email to insanenerd101@gmail.com and we'll ship it to you after creation. Thank you. Oh, and by the way. Here's are the DVD artworks. Enjoy and thank you.